Community economic development should be at the heart of any small Town. The Great Northern Peninsula has numerous development associations (White Bay South, White Bay Central, St. Barbe, Straits Development and Rising Sun), as well as St. Anthony Basin Resources Incorporated (SABRI). These entities have partnered with communities and local groups to create and maintain infrastructure, provide employment, training and the delivery of a number of programs. We need these entities to build stronger economies and communities in our region. The Main Brook Research & Development Corporation is another shining example of community building at its finest. The non-profit corporation has local Directors and develop the Town’s assets, such as the property leased by Northern Lights Seafoods. 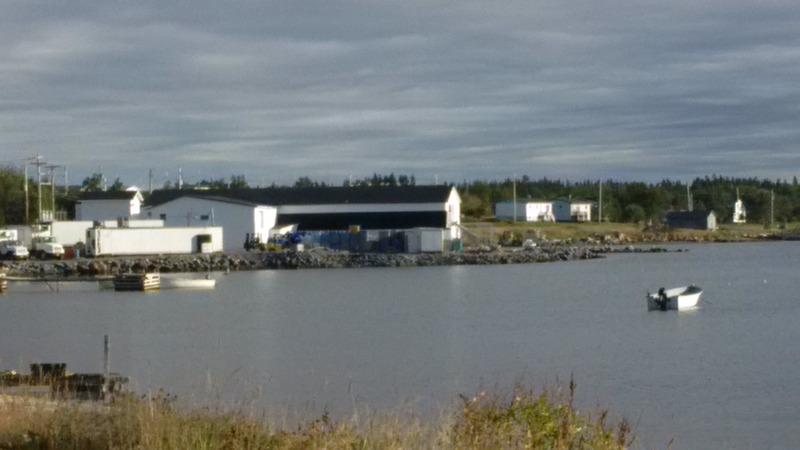 The attraction of a processor to the Town has created dozens of direct local jobs and supported many fishers on the Great Northern Peninsula since 2009. This has lead to millions of dollars in economic value re-circulating in the community and greater region. Northern Lights Seafoods is also pursuing new product development for scallops, which can lead to longer-term employment and more secondary-processing. This creates greater sustainability for the company, workforce and community. Another major milestone for the Main Brook Research & Development Corp. was the divestiture of the Federal Public wharf. 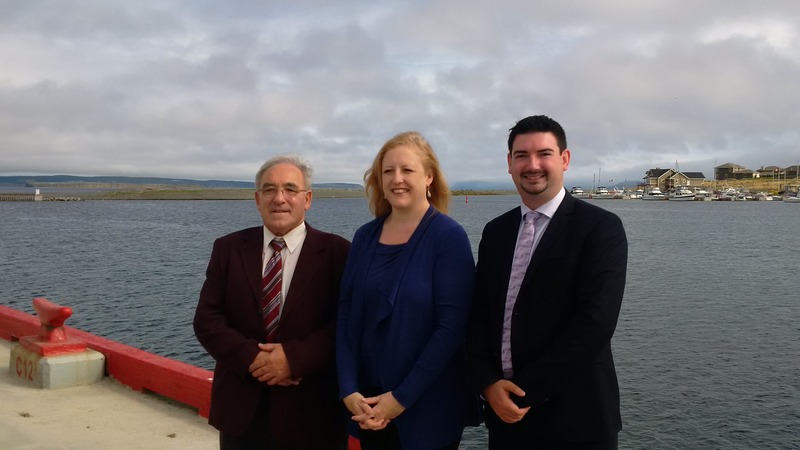 Transport Minister Lisa Raitt, Mayor Leander Pilgrim (Director of MBRDC) and I took part in the official transfer ceremony at Long Pond, CBS. The corporation and community now has control over an asset, which they can use to generate revenues and create new opportunities for off-loading of fish product, shipping and receiving goods and services at this deep-water port and also be a destination for recreation, pleasure and commercial craft. A public meeting was hosted on Thursday, where the corporation updated residents on matters of the wharf and other potential ventures it would look to pursue or find partners to create more economic development for the Town. The meeting clarified the $675,000 Federal transfer and noted the uses of these funds are for the long-term maintenance or the removal of the structure in this was necessary. However, the corporation has a business plan to generate revenues and wisely use invested dollars to create new opportunities, make enhancements and create employment at this location. It is great to see an engaged group of residents, as dozens came out to participate and become more informed, including myself. The actions taken by Main Brook Research & Development Corporation has really position the community for further growth and sustainability as they continue with their diversification plan. I commend these community-minded individuals for taking ownership, working together and never tiring to advance the place you call home. It is making a tremendous difference. The Town of Main Brook has a population of 265 people according to the last census, it has survived the devastation of being a one industry town and losing that big employer. Employment in the 1930’s was almost exclusively in the forest industry, when the community first started to become inhabited. In the late 1940s, Bowater’s moved in and constructed a company town which consisted of apartment buildings, offices, machine and carpenter shops, two warehouses, a retail store, a garage, and a complete water system to capitalize on the rich timber resources. Main Brook holds the distinction of being once of only 11 Towns that were incorporated before Confederation. Population was growing, but all was halted in 1968 when Bowater’s closed their Main Brook operations, citing weak markets and advancing technology. The community never gave up, smaller scale forestry operations continue and still today Coates’ Lumber produces quality products that are found in many homes, garages and buildings around the region. Many pursued the fishery and tourism also played a significant role. Main Brook is home to the award-winning internationally recognized Tuckamore Lodged, owned and operated by Barb Genge (http://www.tuckamorelodge.com/). Today the Town and Recreation Committee continues to put the finishing touches on a beautiful 35’*50′ Community Centre that can host functions large and small. This social space will create new activities and opportunities for the Town, with hundreds of thousands invested since 2012. The Town has approved an number of new building lots, which will help boost the population and purchased a brand new piece of snowclearing equipment, as well upgrades are occuring to the chlorination system to improve Town drinking water. The community has a K-12 school, family resource centre, four churches, fire department and the White Bay Central Development Association. There is a vibrant small business community in Town too, given the amount of people coming to Town to engage particularly in fishing and hunting activities. Isabella’s Country Meats, J&B Outfitting, Tuckamore Lodge, Main Brook Convenience & Gas Station, Hare Bay Stores & Liquor Express and more. The community is part of the French Shore, has a neighbouring ecological reserve, incredible trails, bi-lingual stop signs, a recreational park and some of the best waterfront views around. Not to mention St. Anthony airport is just a 30 KM drive away. 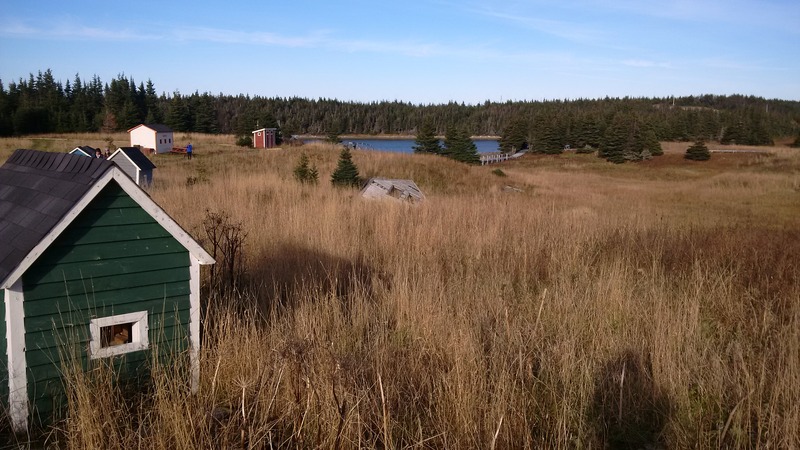 Main Brook is growing due to the determination and ingenuity of those who live there and also those who support the local businesses and organizations, you are all are building a stronger community and making a better Great Northern Peninsula. I encourage you to find ways in your own community to incorporate new ideas and create the opportunity! 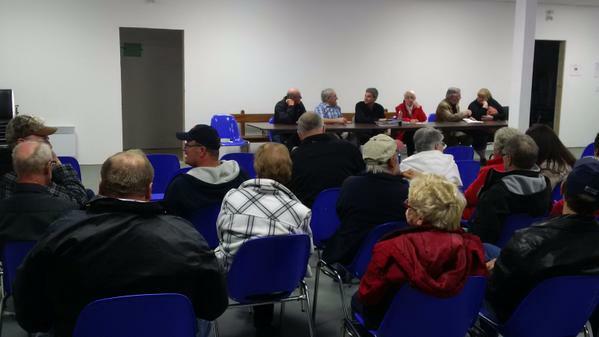 Let’s keep making big things happen in our small communities on the Great Northern Peninsula. Congratulations Main Brook on all your success! Fresh vegetables, herbs, teas, creams and a Blast for the Past! A green thumb and a little creativity leads to promotion of healthy eating and use of all natural products, as well as a unique community economic development initiative with a trip down memory lane in Roddickton. Good green things are growing in the forms of peppers, zucchini, tomatoes and other legumes. 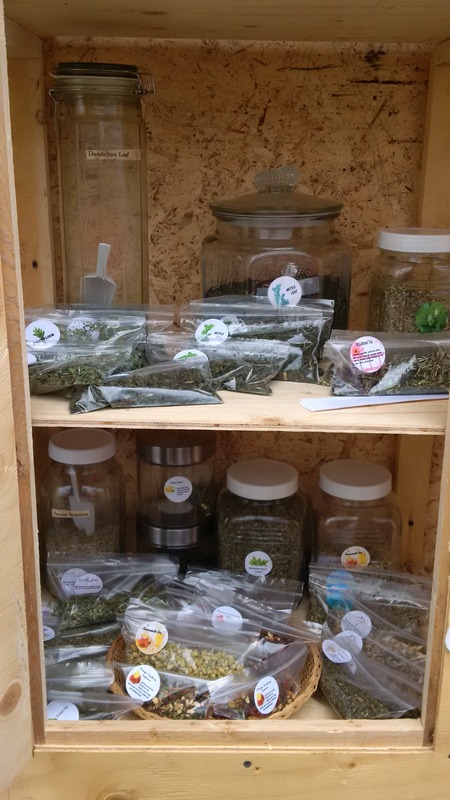 Only the freshest herbs and teas are produced at Elsie’s greenhouse. I love her chocolate raspberry tea in the evening, as well as spearmint, peppermint and fresh garlic. Her creative labels illustrate the great market sense with product titles as “Oh My Joints” to help ease arthritic pain, “Oh My Bum” baby creams or “Good-bye Bugs” which is an effective solution to keep the bugs at bay. She is registered in home-based food preparation with Service NL. A hobby and lifestyle has led to sharing recipes, ideas and advice on her Facebook page “Natural Beauty & Healthy Living”. Community is strengthened when people put their talents to use and share them with others. Small business has always been and always will be the driver of the local economy. We have lots of room for small-scale farming, greenhouses, secondary processing and the ability to establish a network of community supported micro-entrepreneurs. After enjoying some natural berry infused water, I began taking a walk down the Blast from the Past Memory Trail. 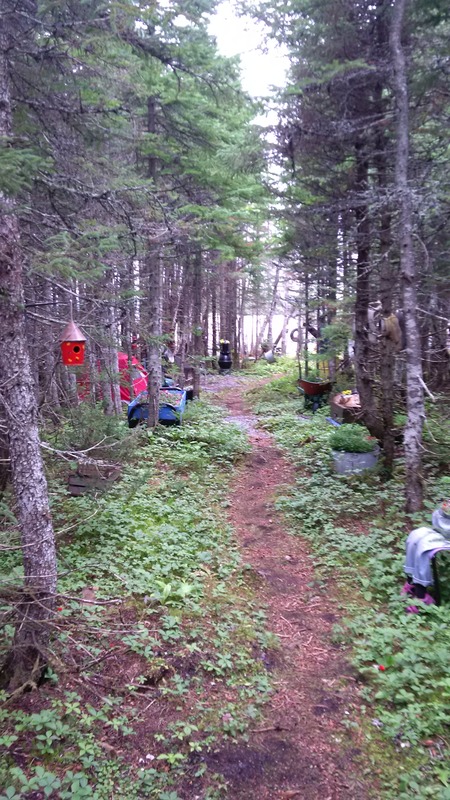 Along the trail there are many traditional articles that depict how past residents grew up, such as the old wood stove, handmade chimney sweet, cooking pots, water buckets, scrubbing board, beds, mummers and more. Certainly much work went into this walking trail, with items brightly coloured to add to the visual appeal. Elsie’s pride for flowers are present in every exhibit. This is a very unique open air museum and public display of art worthy of a visit. Rural Newfoundland & Labrador is full of ideas, creative minds and opportunity! I encourage you to drop by and experience the Blast from the Past yourself, but also think about what you can do to add something new to your community. Advanced transportation networks are key drivers to economic development, investment and job creation. All major cities in the world grew based upon adjacency to waterways and their ability to move goods and services. This still is true today as shipping via waterways continues to be the largest carrier of freight. The Port of St. Anthony, NL on the Great Northern Peninsula is open for business and is the second largest containerized international shipping port in the province after Argentia. The Port of St. Anthony harbor infrastructure seen the construction of new wharf facilities, expansion of the marine services and some dredging to accommodate larger vessels in the port with water depths of 9 metres. St. Anthony Cold Storage Limited (SACSL) operates a state-of-the-art cold storage facility in excess of 50,000 sq. ft. with a capacity of 6,000 pallet positions. An additional, 15,000 square feet of dry storage space is available for packaging and any other items that companies may require for their operation.The facility, built less than ten years ago, has the highest technical standards of refrigeration and product handling equipment. Mobile racking and a power management system make this a flexible operation to meet clients needs (http://www.sacsl.ca/). Strategically located, the Port of St. Anthony is adjacent to the shrimp fishing areas and the ideal location for landing and storage of both the offshore/inshore vessels catch. This entity helps service the four shrimp plants operating on the Great Northern Peninsula in Port au Choix, Black Duck Cove, Anchor Point and St. Anthony. Therefore the primary customers are inshore fish processors, the 65′ fleet and a number of factory freezer vessels. There is opportunity for research and development regarding the feasibility of the shrimp shell and crab biomass for proteins, catalysts or anaerobic digestion. The Port’s primary shipping company, Eimskip is one of the world’s leading providers of reefer logistics with 100 years of operations is marking its tenth season in St. Anthony (http://eimskip.is/ca/Pages/default.aspx). There is significant opportunity to expand containerized shipping and investment potential for all stakeholders to see increased benefits. International container shipping, reefer boats, large vessels using pallets instead of containers, factory freezer trawlers, scientific vessels, Canadian Coast Guard vessels, cruise ships, supply vessels and more than one hundred 65-footers are users throughout the season. The region is poised to capitalize on arctic research and ocean technology given its location and key assets. A vibrant and diverse business community, post-secondary institutions, government and financial services, as well as infrastructure and property for future developments. One can experience more about what the Town of St. Anthony has to offer at http://www.town.stanthony.nf.ca/. The Great Northern Peninsula has significant growth potential with continued investments from business, government and local users. Advancing transportation networks will be key to our future economic development. Englee is all fired up with Glacier Glass! The fishing Town of Englee is quickly becoming an artisan retreat and those who love things that are handmade. At the Town Hall one can view more than 100 locally hooked rugs at their exhibition open Monday to Friday from 9 AM until 4 PM. They also created a partnership with the French Shore Interpretation Centre, where a local resident worked and produced tapestry panels for a travelling exhibit commemorating the Treaty of Utrecht of 1713. Englee is all fired up! The creation of the newly formed Glacier Glass has given the Town renewed life through job creation and new economic development. 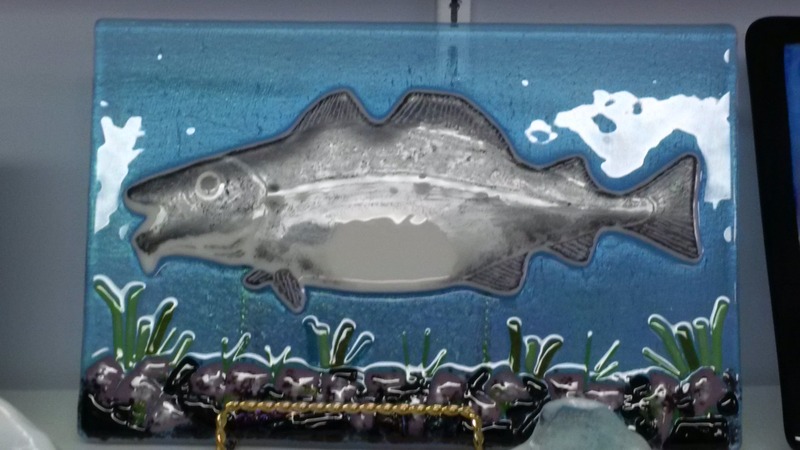 A number of workers have learned and are mastering the art form by creating original and authentic glass art pieces that are indeed quintessentially Newfoundland & Labrador. Artisans carefully handcraft coasters, tea light holders, pendants, plates, platters, ornaments, cheese trays, cuff-links, icebergs and an array of decorative items. These are unique and perfect presents for special occasions, such as birthdays, anniversaries and holidays such as Halloween or Christmas. Supporting local business is key to building a stronger economy and sustaining rural communities. We can grow with your help! Drop by their studio and shop at the lower level of the Englee Municipal Building, visit their Facebook Page at Glacier Glass for regular updates and/or call 1-709-866-2711 for more information. Englee also has a heritage home, wildlife and amazing walking trails. It neighbours Roddickton-Bide Arm and Conche, making the Northern Peninsula East another place to add to your travels when experiencing the Great Northern Peninsula.